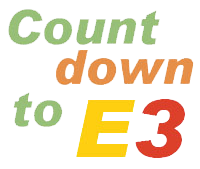 E3 2011 is just 15 Days away, and continuing our Daily Countdown series until the big day I figured it’s as good of time as ever to explore the franchises Nintendo presently presides over. Sure, we all know about Mario and Zelda, but did you know Nintendo also owns the rights to Custom Robo? While many software developers have a nice handful of game franchises they build on, Nintendo has arguably the biggest and most vast array different franchises on the market. Time to take a look at what franchises Nintendo presently owns. Keep in mind this is not a definitive list, nor does it list every game Nintendo has ever made. It only counts “series”, which in this case pertain to something that has had at least 2 games created for it. Of all the franchises listed, some of them have expanded into completely new series, which then creates something like 40+ franchises running around. Many of them are still active today. That’s rather astounding for one company to push out, and really opens your mind to just how big Nintendo really is when you compare it to the competition. Sure, some of these games are made by 2nd parties, but the rights are owned by Nintendo, so it’s as good as being first party in this case. As you sit back and contemplate what we’re going to see at E3 this year software wise, it’s understandably hard to figure out when Nintendo has so many popular franchises running around. You can understand better now why Nintendo has ignored 3rd parties for awhile, because they happen to have plenty of their own franchises running around. Just think, Nintendo could have a whole lot more up their sleeves for Project Cafe.